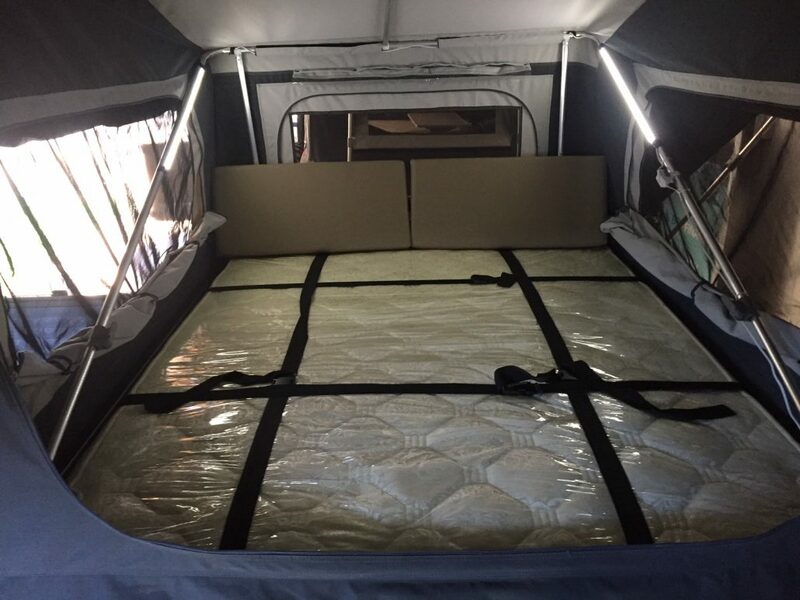 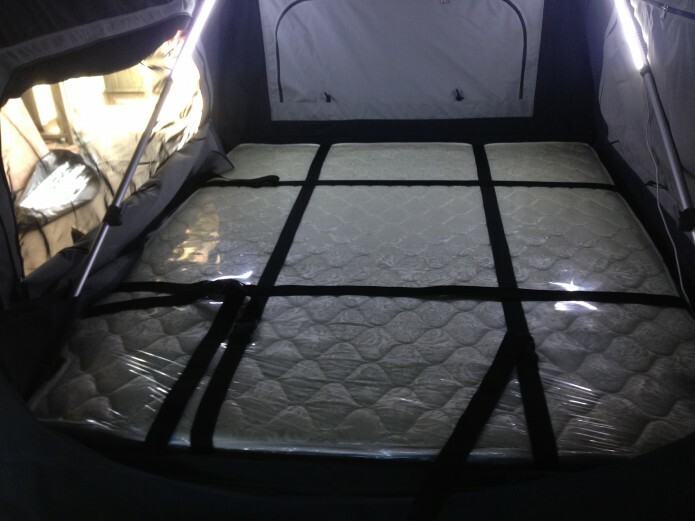 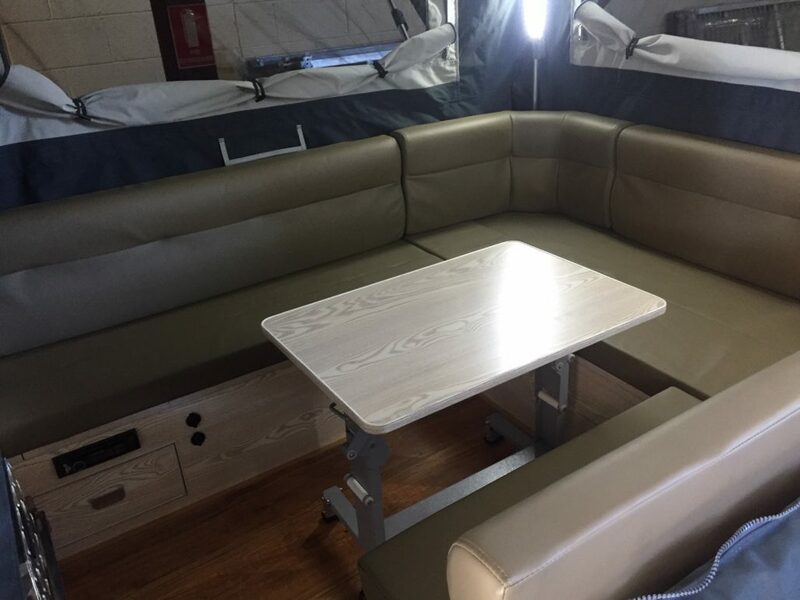 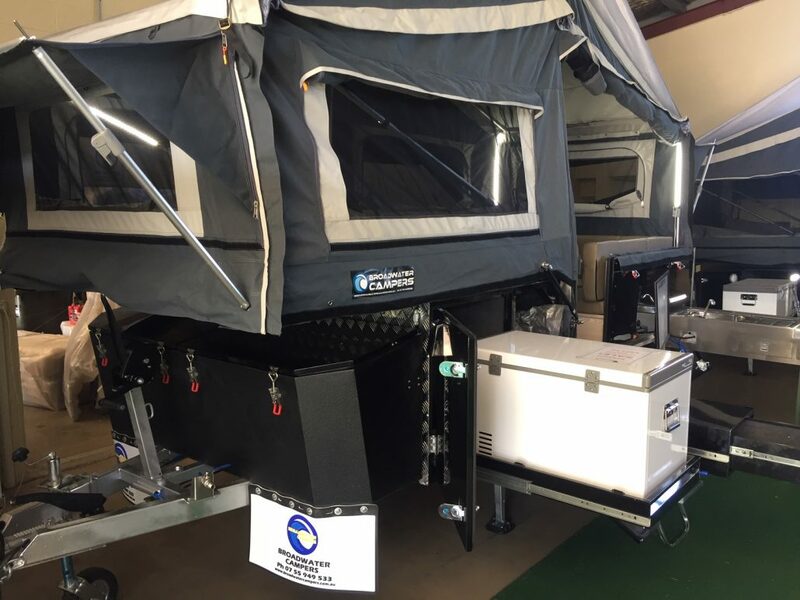 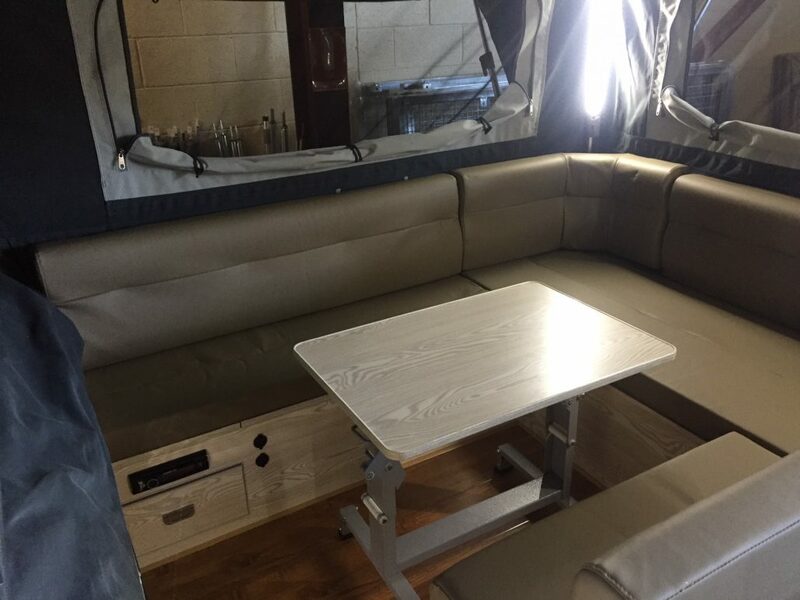 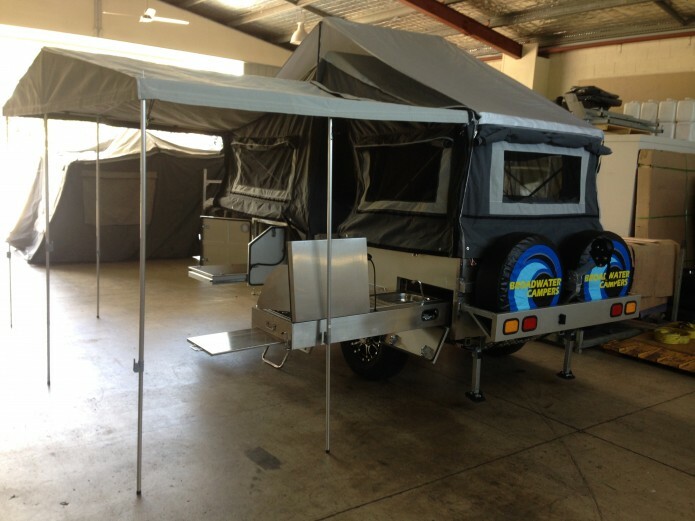 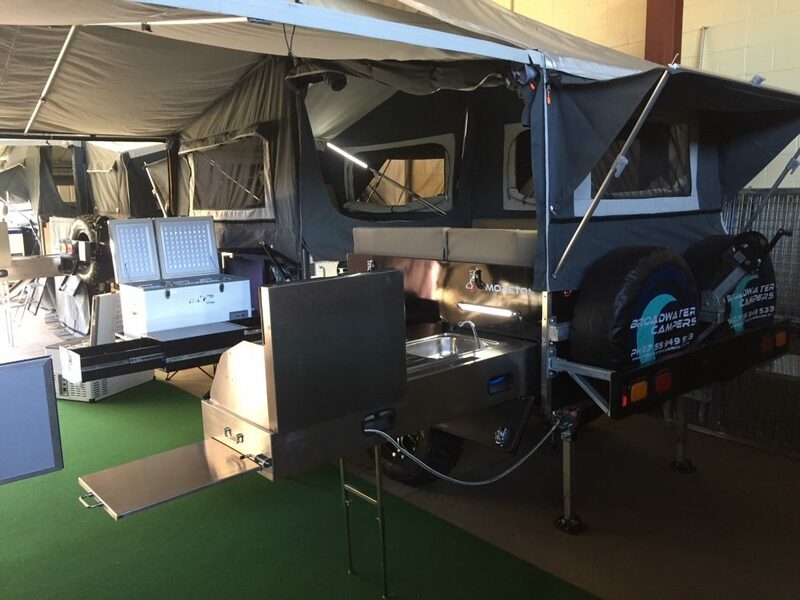 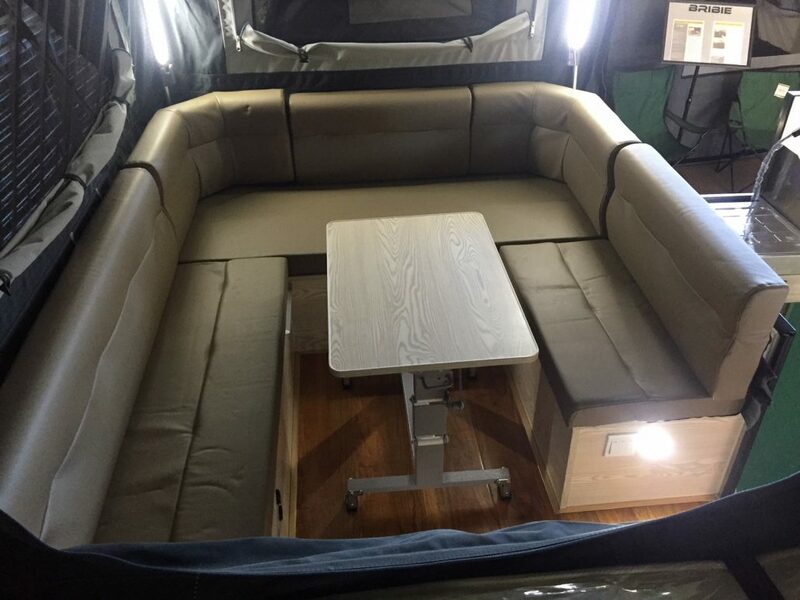 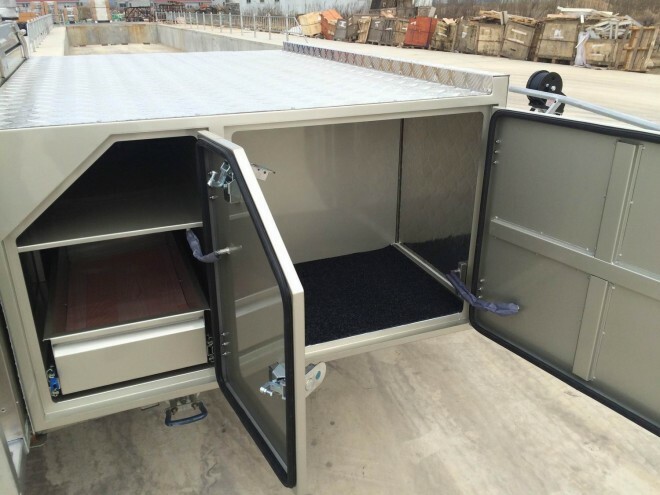 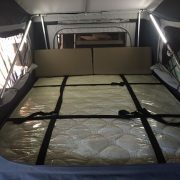 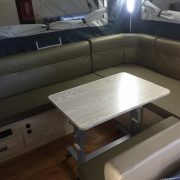 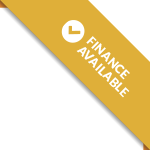 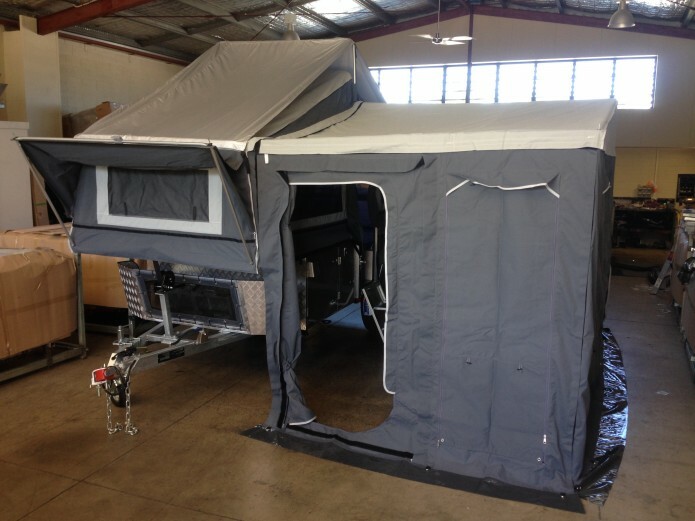 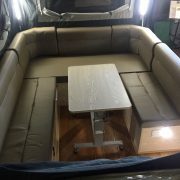 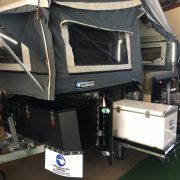 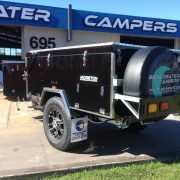 This superbly designed and quality built camper trailer may be the best value off road, forward folding, hard floor camper trailer in Australia. 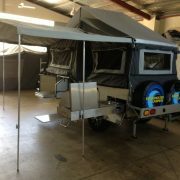 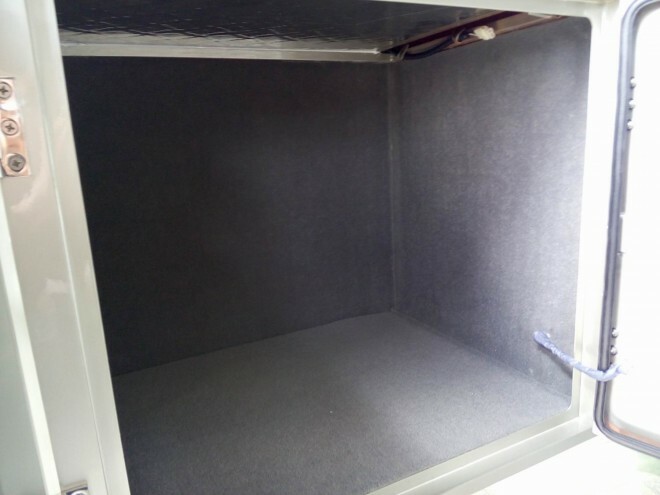 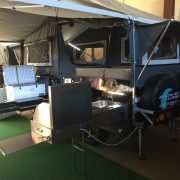 The easy fold out frame work including tropical roof free stands without guide ropes.Attach a very generous annex gives a total 4300cm by 4000cm total enclosed area.The whole camp can be set up in a few minutes. 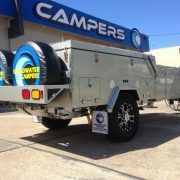 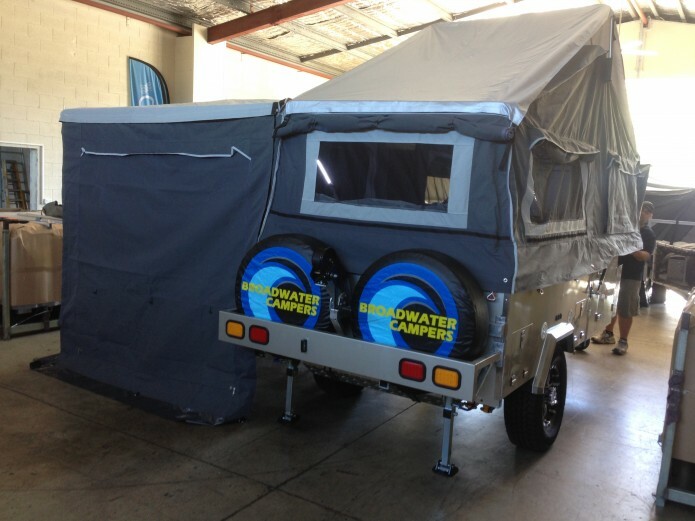 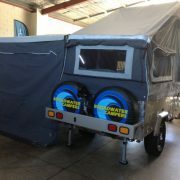 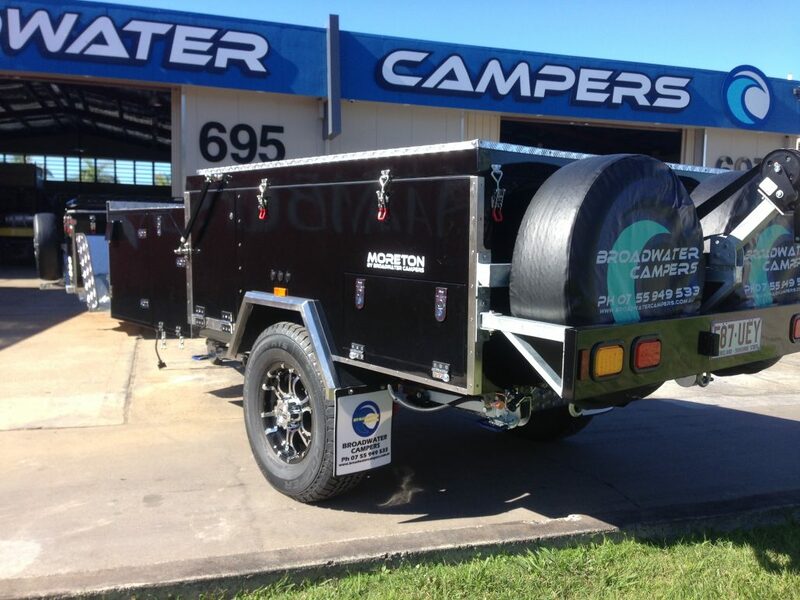 The Moreton forward fold camper trailer has an extra spare wheel wrapped with Cooper tyres for that ease of mind while traveling the outback. 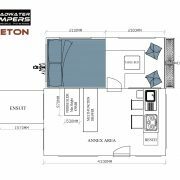 The main bedroom has a full queen size inner spring mattress, while the clever designed dining area with pop up table converts to another large foam bed.Generous windows give excellent ventilation and are midgy proof. 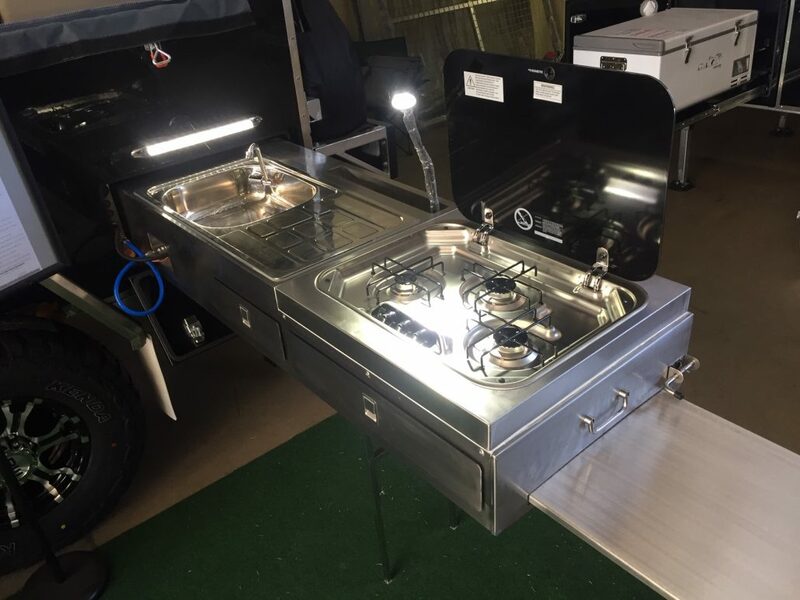 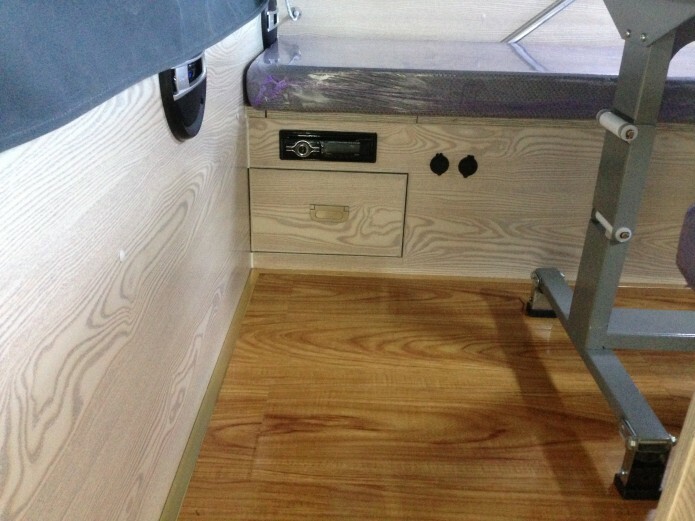 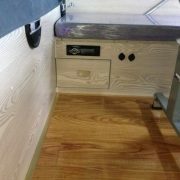 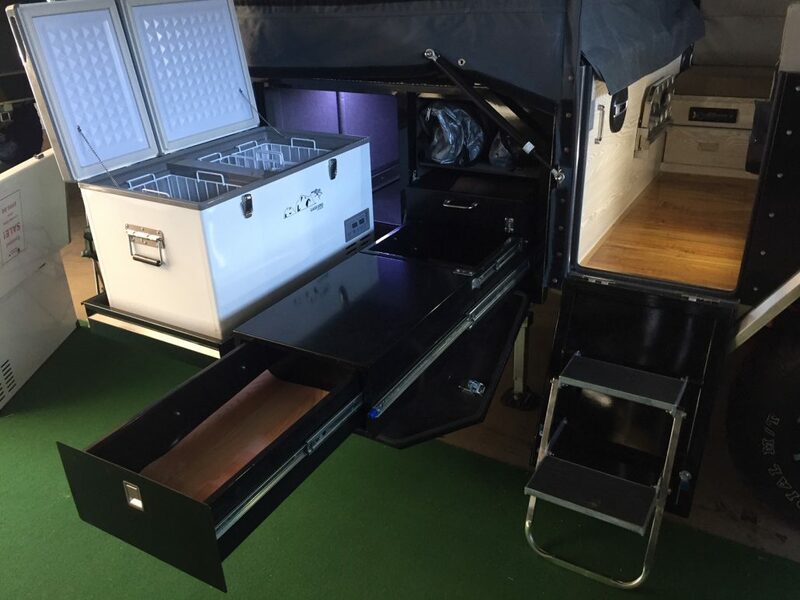 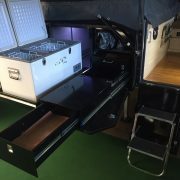 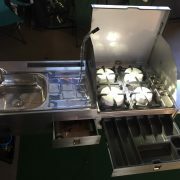 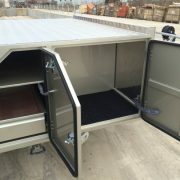 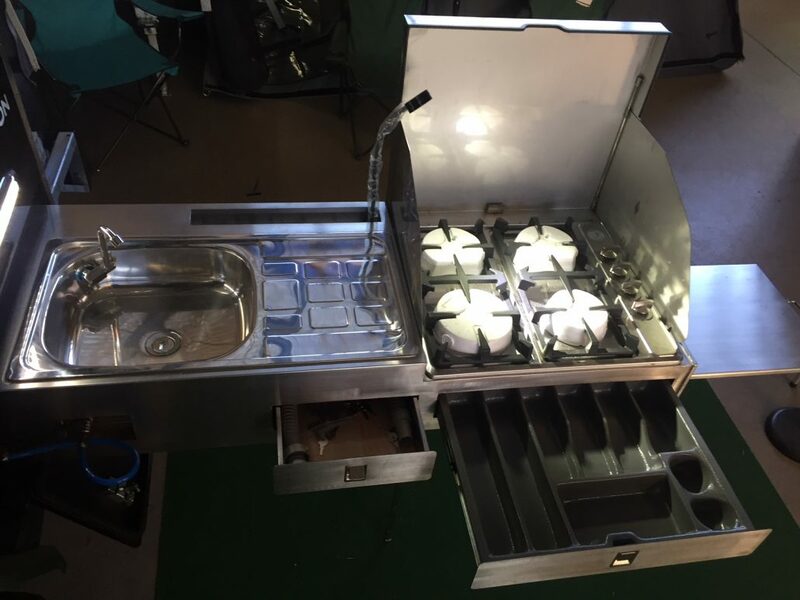 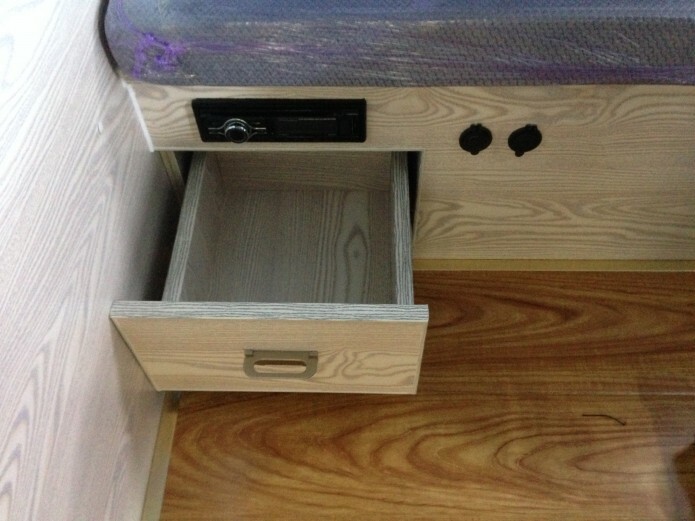 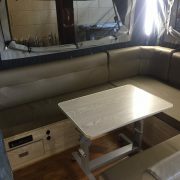 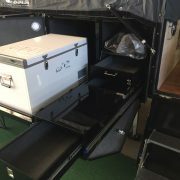 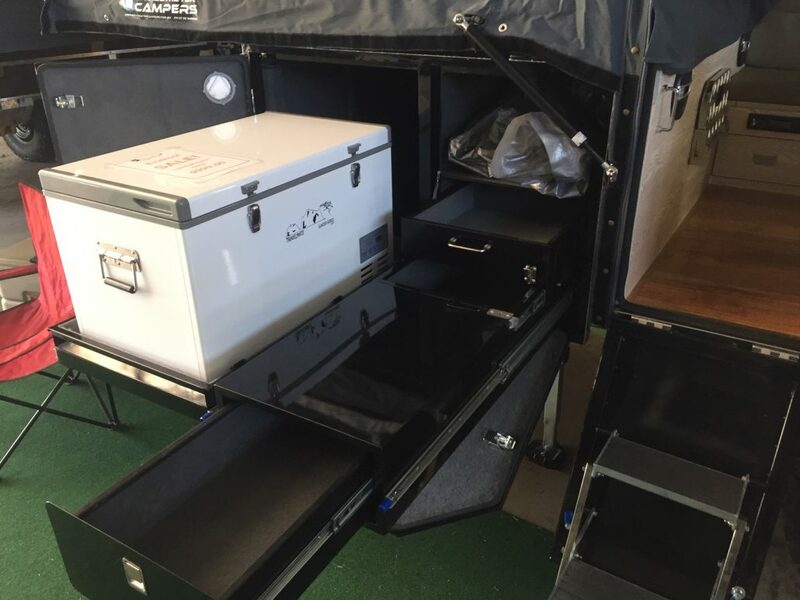 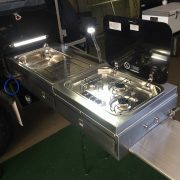 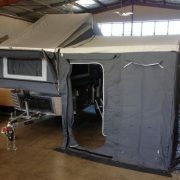 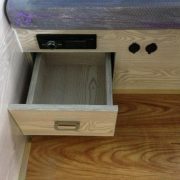 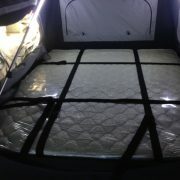 A large stainless kitchen and lots of lockable storage makes this a great camper trailer. 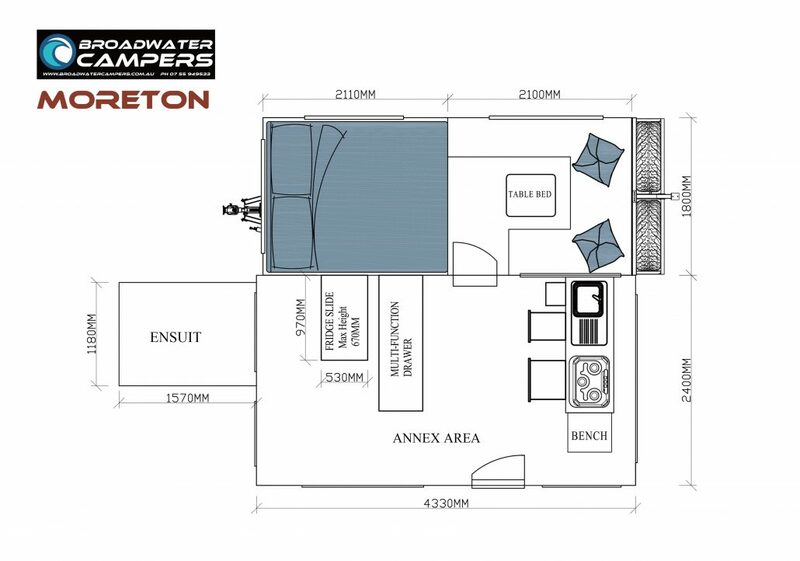 We have included an ensuite shower room as part of the package for extreme comfort while camping for longer stays. 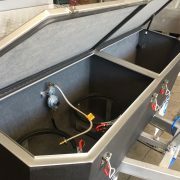 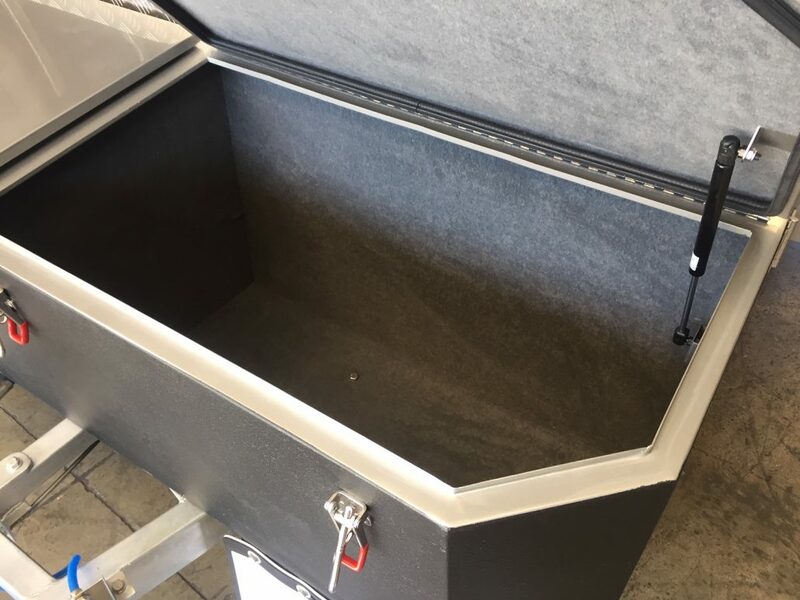 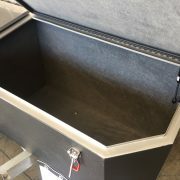 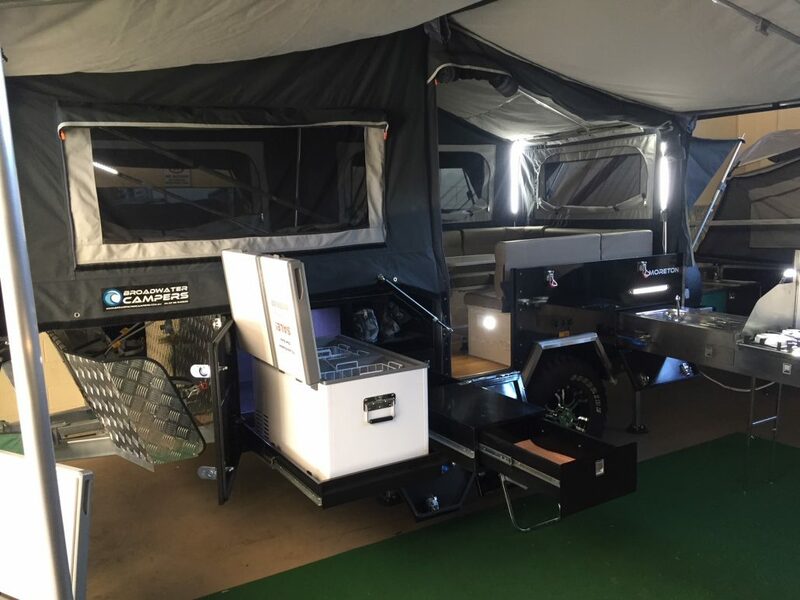 There is now a modest 120 litre water plus an extra 40 Litre water tank combined with the two jerry can holders giving you ample water, the Moreton now features 2 x 100ah Deep Cycle batteries as standard to power up all the electrics and to keep your fridge running longer. 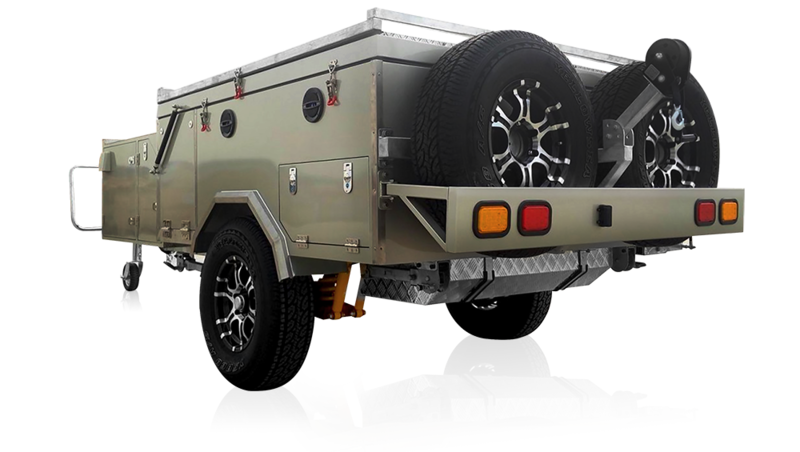 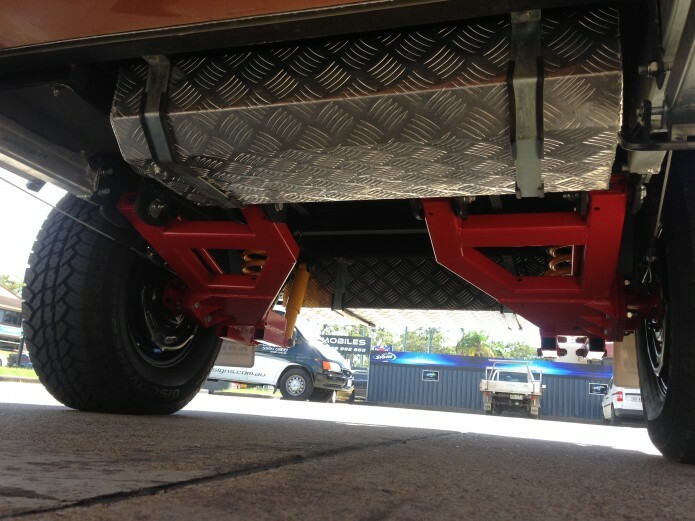 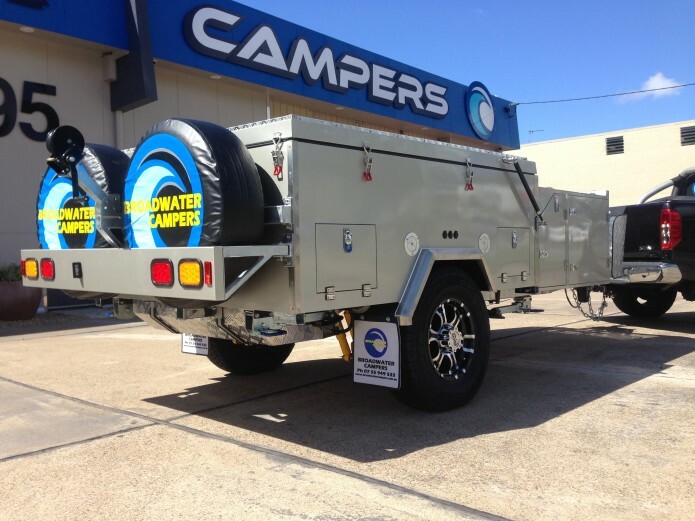 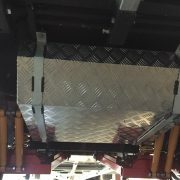 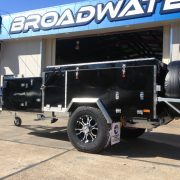 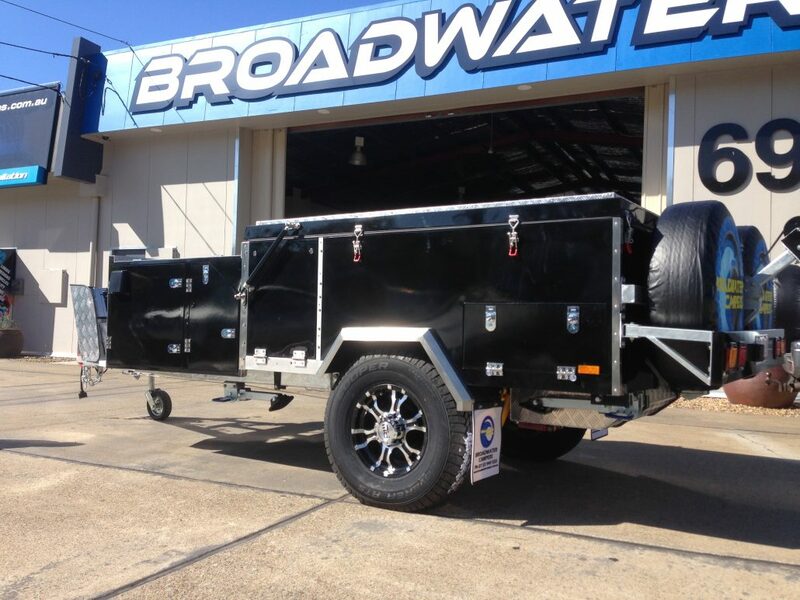 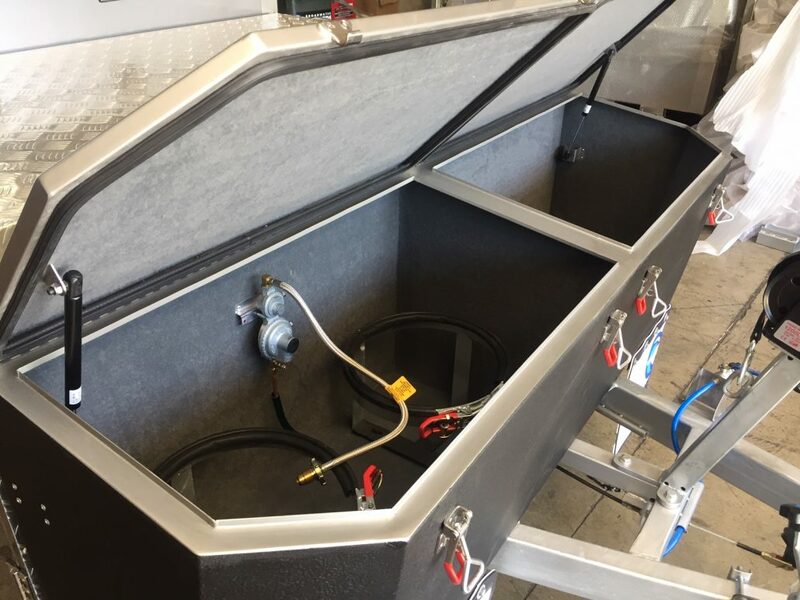 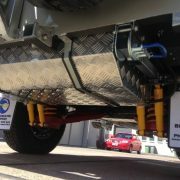 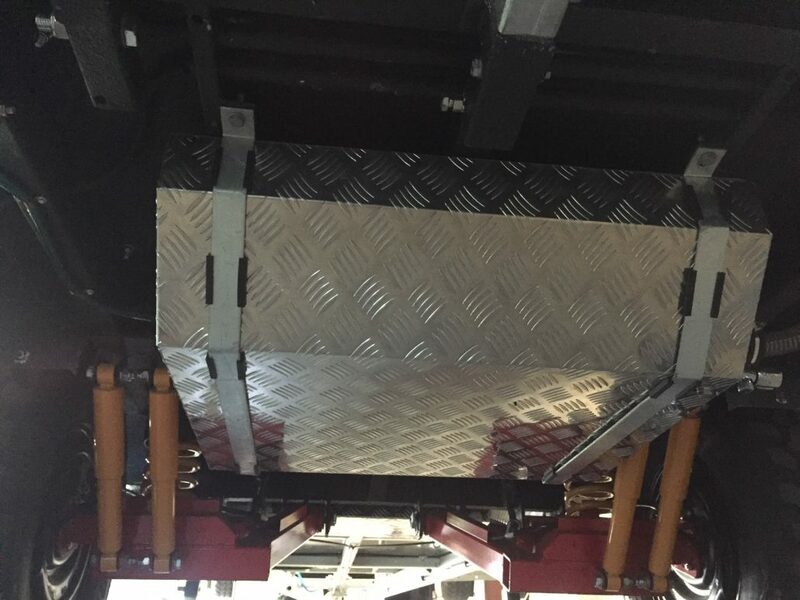 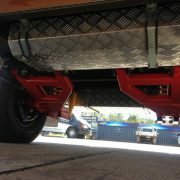 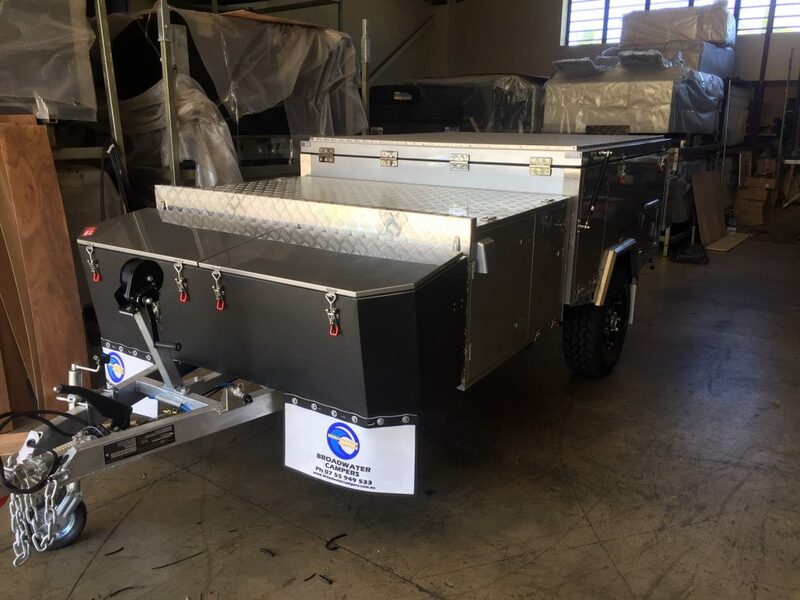 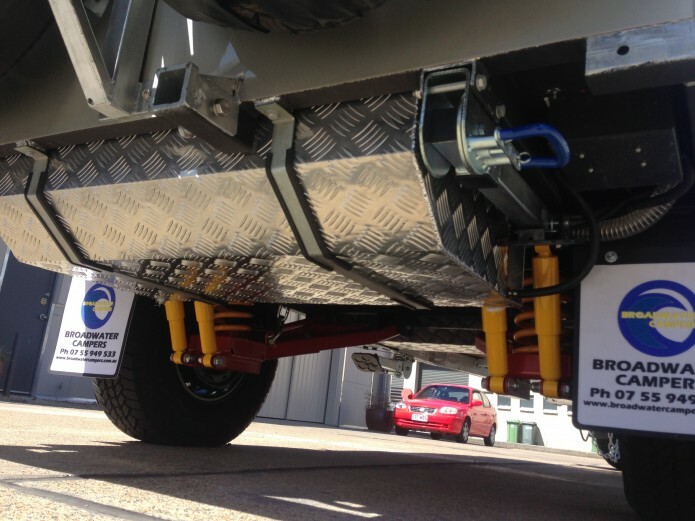 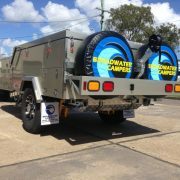 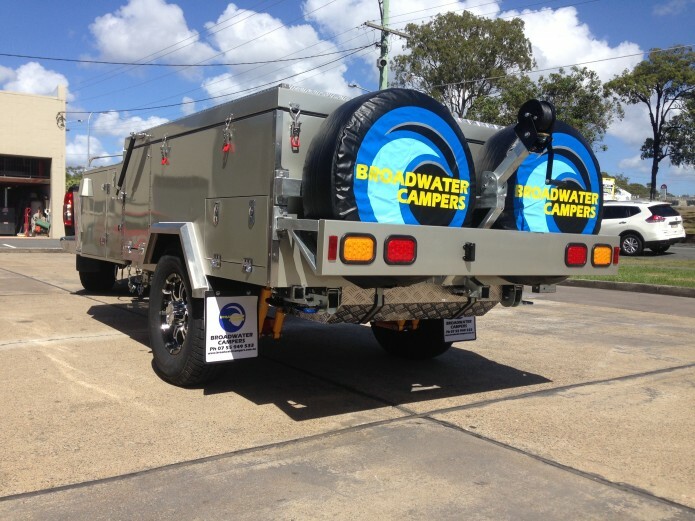 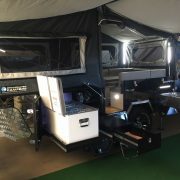 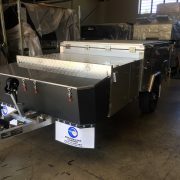 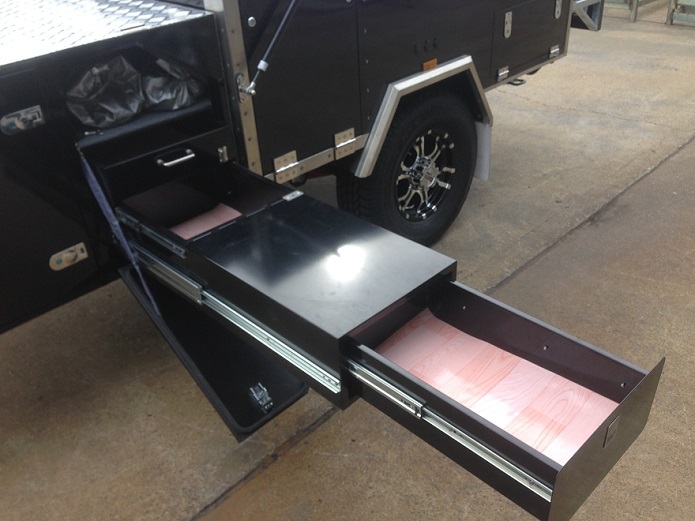 All our trailers are hot dipped galvanized and feature independent suspension with double shocks and come with 6 months QLD rego – ready for all your off road adventures. 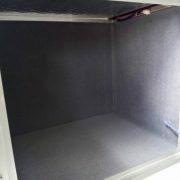 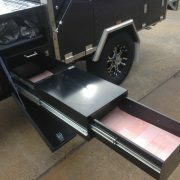 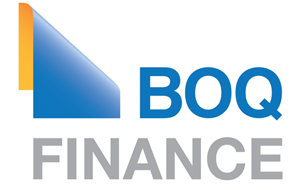 We can deliver to most parts of Australia.